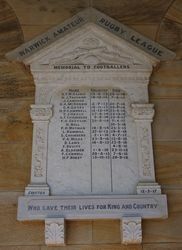 The tablet commemorates Warwick Rugby league footballers who died in service or were killed in action during World War One. This memorial has outstanding significance as the only known war memorial of its type in Queensland. 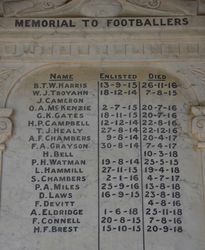 Nineteen footballers from the Warwick Amateur Rugby League were killed during the war and the memorial to the footballers was erected in May 1917, well before the War had ended, and was added to as more deaths among the League`s players were notified. 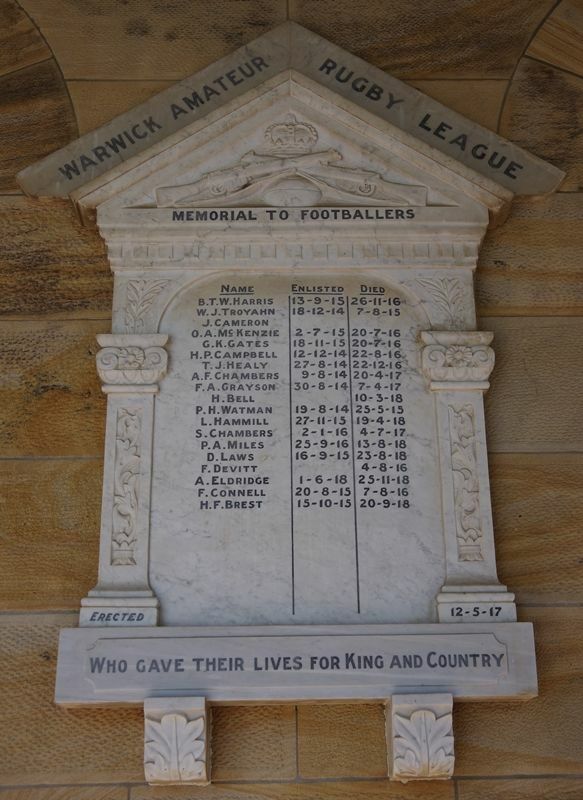 In 1917, a movement to erect a memorial to the Warwick league football heroes who have given their lives for their King and country (and those who may yet fall ) was initiated by Mr Jas. Brown, Patron of the Warwick and District Amateur Rugby Football League. 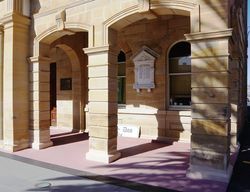 Liberal subscriptions were forthcoming and a beautiful memorial tablet the work of Troyahn, Coulter and Thompson was placed at the entrance of the Town Hall. The roll was unveiled by the Mayor of Warwick, Alderman J. W.Gillan on the 12th May 1917 who, after the unveiling, read out the names on the roll.